The management of the Bulk Oil Storage and Transportation Company Limited (BOST) has said some five million litres of contaminated fuel it sold to Movenpiina Energy is not available for sale to consumers on the market. 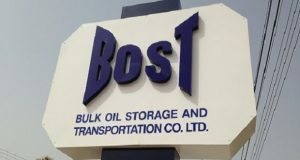 BOST Media Relations Manager Nana Akua Adubea Obeng explained that the company needed to clear its storage facilities, hence the decision to sell the fuel to firms in need of it for their industrial equipment. “As at now, the tracking system has not come out with a report that any of the trucks has been seen at an obscure location,” she told Joy FM on Tuesday, June 27. Meanwhile several industry players have condemned BOST for its action. The Chamber of Petroleum Consumers, Ghana (COPEC-GH) has warned the public to beware of the sale of contaminated fuel on the market. The group has also accused the Managing Director of BOST of allowing his “greed” to make him act “recklessly” by allowing the contaminated fuel to be sold onto the market. According to COPEC-GH, about five million litres of the contaminated fuel have flooded the market and are being sold at the pumps. COPEC-GH is demanding that any fuel station found selling the contaminated fuel be arrested and prosecuted. The group has also urged the regulatory authorities to come down hard on the BOST MD, his “cronies” and “other highly compromised management members” so as to “forestall any further dangerous recklessness”. Adding his voice to this development while speaking on Peace FM’s Kokrokoo on Tuesday June 27, Kwasi Pratt Jnr, Managing Editor of the Insight, has said the Chief Executive Officer of Bulk Oil Storage and Transportation (BOST) Company Limited, Alfred Obeng, must step down for investigations to be conducted . Meanwhile, energy think tank Africa Centre for Energy Policy (ACEP) has indicated that the sale of the contaminated fuel is worrying and could have been avoided.